The exhibition is an official Collateral Event of the 57th International Art Exhibition - La Biennale di Venezia. It will be on view in the spectacular setting of the Palazzo Contarini Polignac from 12 May to 13 August 2017. The Future Generation Art Prize is widely acknowledged as a springboard for emerging talent. Lynette Yiadom Boakye won the Prize in 2012, before going on to be shortlisted for the Turner Prize and have a highly successful solo show at the Serpentine Gallery in London. The winner of the first edition of the Prize, Cinthia Marcelle, will represent Brazil at the 57th International Art Exhibition. 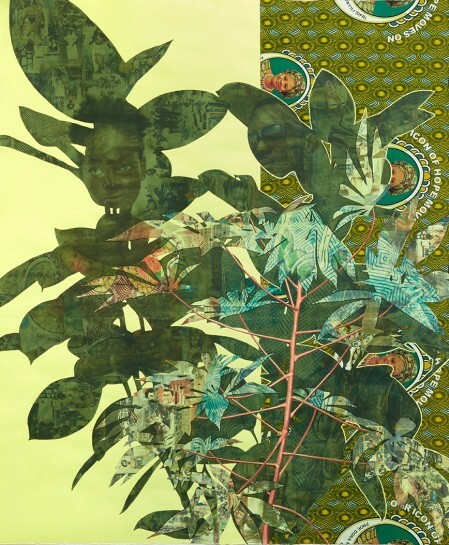 The 21 artists on show this year in Venice, chosen from amongst 4,500 entries, include among others the winner of the $100,000 Future Generation Art Prize 2017, the South African artist Dineo Seshee Bopape, and the winner of the $20,000 Special Prize, Kenyan/British artist Phoebe Boswell. In addition there will be new work by the other shortlisted artists who are: Njideka Akunyili Crosby, 33 (Nigeria / United States), Iván Argote, 32 (Colombia / France), Firelei Báez, 35 (Dominican Republic / United States), Vivian Caccuri, 30 (Brazil), Sol Calero, 34 (Venezuela / Germany), Asli Çavuşoğlu, 34 (Turkey), Vajiko Chachkhiani, 31 (Georgia / Germany), Carla Chaim, 33 (Brazil), Christian Falsnaes, 35 (Denmark / Germany), EJ Hill, 31 (United States), Andy Holden, 34 (United Kingdom), Li Ran, 30 (China), Ibrahim Mahama, 29 (Ghana), Rebecca Moss, 25 (United Kingdom), Sasha Pirogova, 29 (Russia), Kameelah Janan Rasheed, 31 (United States), Martine Syms, 28 (United States), Kemang Wa Lehulere, 32 (South Africa), Open Group (Ukraine).